Posted by Managed WordPress Migration User in Banking, Blockchain, Consulting, Finance , Followed with No Comments. This post is a continuation of the thoughts from the last two posts. My own conclusion to date was that powering the possibilities of digital assets and benefiting from things DLT needs CBDM. I am indebted to the very thoughtful Kevin Rutter of R3 and to Rhom Ram at the USC Project for engaging in very lively conversations on this topic. We can readily understand that any form of “alternate currency” which undermines Central Banks’ control over monetary stability is going to be very problematic. In Financial Services, we actually have experience of doing “transformation without inflation”. For years, we have been switching between Ordinary Shares and ADRs or GDRs; so long in fact, that a certain Xavier Rolet, the recently departed CEO of the LSE, was a cash equities trader at Goldman Sachs. Back then, the young Frenchman was keeping me busy by “arb’ing” Swiss shares vs. their ADR equivalents. For each share, there was a an agent, a bank, that would take the Nestle shares in Switzerland and create ADRs for settlement in the US. Crucially, the fact there were ADRs did not change the number of ordinary Nestle shares in circulation; no inflation. The process was privately owned and operated. No role for a Central Bank or regulator. The process worked, though there was the occasional hiccup. This happened when you asked to convert ADRs to Ordinaries and found that the agent, Deutsche, Citi, JP and the like, took the ADRs from you but was late with the delivery of the Ordinaries. Basically, they had poor controls over their “box”, in other words their holdings in the Swiss CSD where the ordinary shares were held. That was annoying and created problems; if instead of Nestle shares we were talking about Swiss Francs and their digital equivalent, this would be unacceptable. Switzerland also has an example of a transformation that involves the Central Bank. The SNB is activity involved in the Intraday Repo market; offering cash vs. collateral at 0% interest, as long as the money is returned the same day. There are penal rates if you miss the return delivery; rightly so, as that extra cash increases money supply. Another useful lesson from the financial market infrastructure in Switzerland is the way that different rails in the value chain interact. Financial assets are traded on the Swiss Exchange. Trades are sent to the CSD, the Central Securities Depository, for settlement. They are “locked in”; agreed, non-cancellable and if the seller has securities and the buyer has funds, will settle on value date. I love this “locked in” feature; the mere ability to have cancel / corrections has occupied and IMHO wasted thousands of hours of time of many, many thousands of FS professionals working out how to accommodate this evil feature. To misquote the great Bob Marley: “No cancel, no cry”. On value date, the CSD checks to see if the seller has securities, temporarily blocks them and then reach out via an API to the payments system to see if the buyer has funds. That “request for cash” is rated more important than other general payments activity. When there are funds, cash and securities move simultaneously, so called DVP, delivery vs. payment. If not settled, the securities side is released, another trade chosen and the failed trade is re-tried later. Crucial lessons here are the locked in feature and the way that there is one pool of cash, in the payments system. If we want to create CBDM, how might this be done? Banks might get together and form a consortium to build a platform. This is Route 1 of the FS industry when it comes to sorting out infrastructure; helping yourself. The Utility Settlement Coin project, USC, is an example of this. For this structure to work, I think the banks involved would have to find a mechanism where as agents they are not faced with punitive requirements for holding the fiat cash against which they issue digital currency. 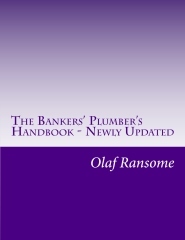 All sorts of thorny issues there around Basel III, LCR, NSFR and Liquidity Buffers. Potentially, if those several banks create a special purpose bank vehicle where each bank is a minority shareholder, then some of those problems might go away. I would also consider whether the transformation process from fiat to digital is one that is needed all the time or only intraday. First thought here is that the digital world is going to demand long opening hours, which will make it challenging to close a currency. Challenging, not impossible. Requires careful thought. As we work as an industry to come up with a solution, we must not forget the U in USC. U for Utility and Universal. The digital cash we create must be in one central pot and not lead to unconnected silos. A second last thought for this post is that CBDM as an enabler for things DLT will not be the global panacea for all ills. If CBDM can drive widespread use of DLT, then there is the very distinct possibility of FS business realising big savings in processing costs. But, DLT and CBDM alone will not help reduce the costs of liquidity; LCR, NSFR and the intraday liquidity buffers. Those costs are far greater than the operational ones. The last thought is the role of the regulators and Central Banks. My experience of their MO is that they like to sit on the sidelines and observe, then perhaps impose their regulatory requirements. I think the digital world has so much promise, that a more pro-active stance is needed. Hope dies last.